Happy Friday! 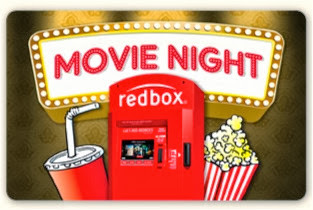 Here's a free Redbox Rental Code that your family will appreciate! Get a free one day rental from Redbox with code 9MXW2LPC. This code works only at your local Redbox kiosk. What are you going to rent? I just rented After Earth! Cant't wait until the day is over to watch it with the kids!